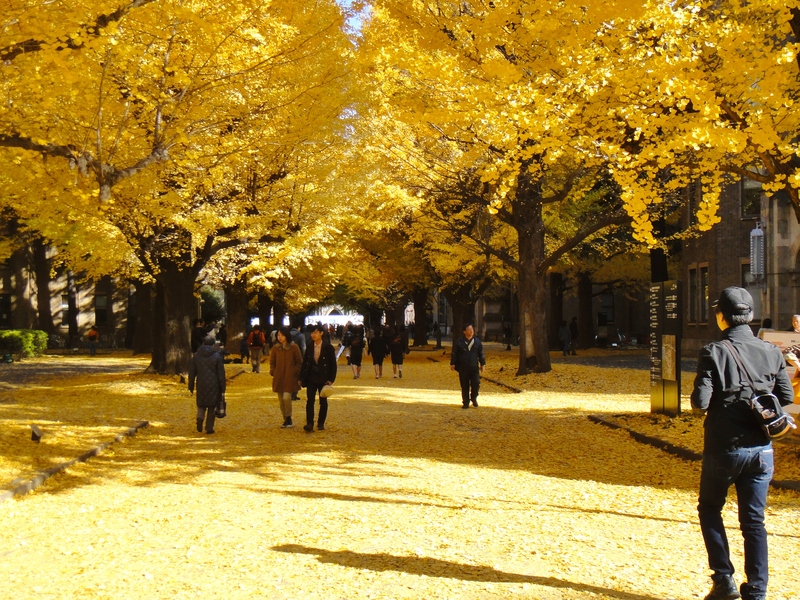 Around the end of November to the beginning of December, brilliant, yellow ginkgo trees line the main entrance into Tokyo University’s Hongō Campus. It’s a grand sight, and the leaf-carpeted path leads you through interesting gothic buildings and archways. Most of the campus is open to the public and is stroller friendly, for the most part. 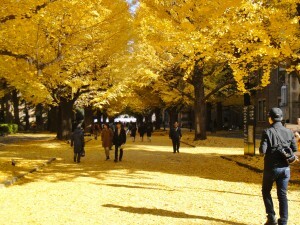 From the main gate (Seimon), and part way down the University’s main pathway, a path on the left leads to a huge ginkgo tree. It’s a great place to relax and have a drink, or picnic if the weather’s fine. 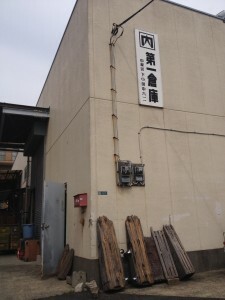 At the opposite end of the main gate is Yasuda Auditorium, a large, red brick building. 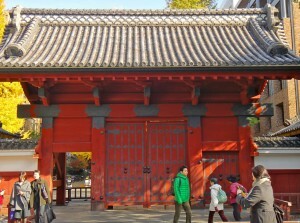 Just south of the main gate, towards Hongo Sanchome Station, there is also an interesting red gate (Akamon, shown in the picture above) built in 1827, from the Edo period. 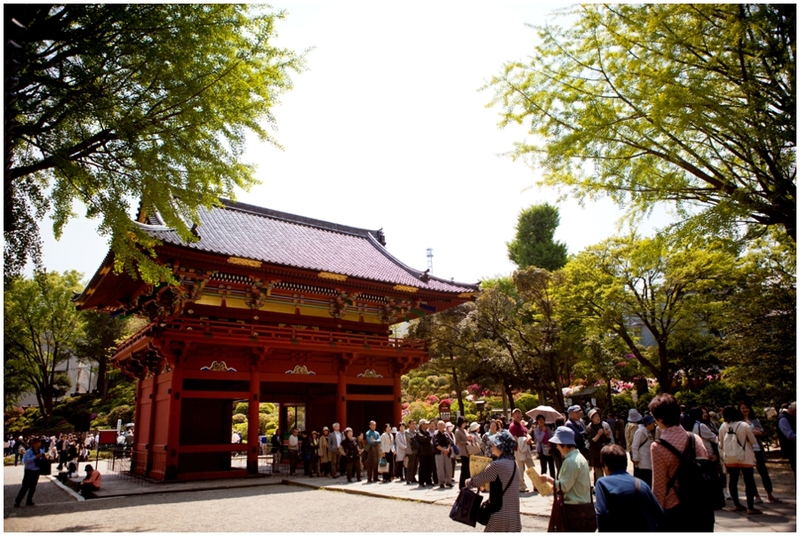 Tokyo University is considered to be one of the most prestigious universities in Japan, and the World. 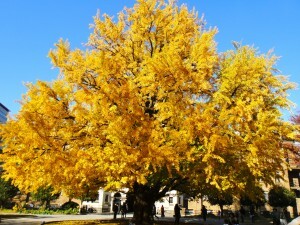 The institute’s symbol is the ginkgo leaf, as the trees are “known for their endurance and longevity” (japanvisitor.com). 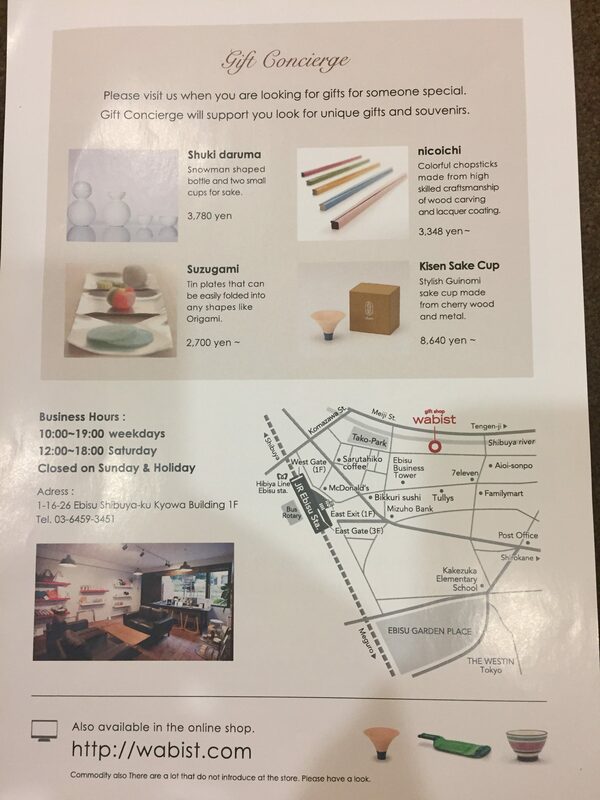 Here is a link to the map for Hongō Campus. 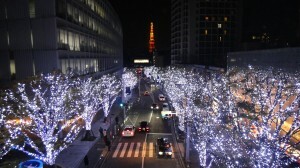 It has the locations of restrooms, restaurants, convenience stores and the train stations. Hongo Campus Map. 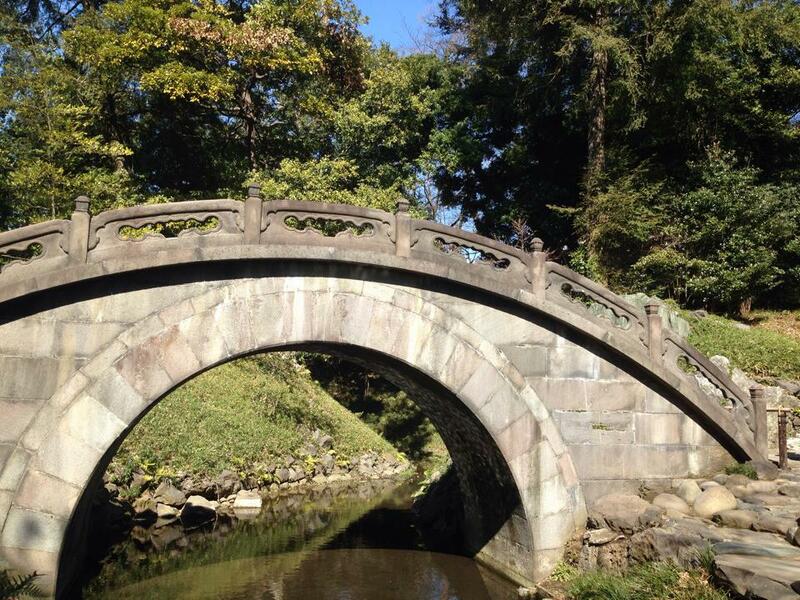 During the fall, we combined this outing with a trip to Koishikawa Korakuen Park. 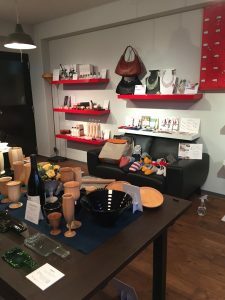 A 1.3-mile walk separates the two locations, or you can take a subway ride between the Iidabashi/Korakuren Stations and Hongo Sanchome Station. Linda Bell, October 2014. DIRECTIONS: The GPS coordinates to the Tokyo University Hongō Campus main gate (Seimon) on Hongo-dori Avenue, are 35.712926, 139.759457. The closest subway stations to the University’s main gate are Todaimae Station (Nanboku Line, N12) and two separate Hongo Sanchome Stations, one services the Marunouchi Line (M21) and the other the Toei Ōedo Line (E08). Take note of the train line your returning on so you go to the correct station. 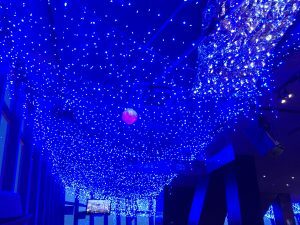 If you exit Todaimae Station, turn left to head to the main gate, while at the M21 Station take the Hong-dori Avenue Exit, Exit 3. At the E-08 Station take Exit 4 and turn right for the main gate. All stations are approximately a 10-minute walk to the main entrance of the University. I believe all three stations are stroller friendly, according to the University’s Disability Services Office. 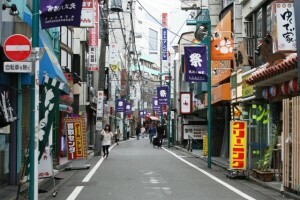 Heading off to see Yoyogi Park and walk around the streets of Harajuku makes for a very satisfying day trip to Tokyo. 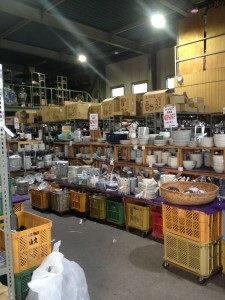 It is easy to get to this area by train from Yokota – requiring no transfer to the subway. 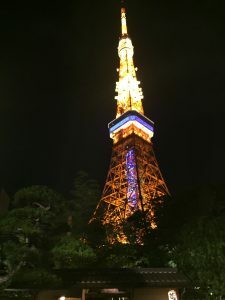 The trip offers a walk through beautiful park grounds and dense shopping streets; and showcases a nice juxtaposition between tradition and ultra-modern. 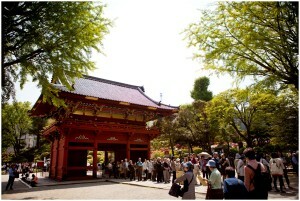 The Meiji Shrine is located in the huge Yoyogi Park. According to Japan-Guide.com, the forest surrounding the Meiji shrine was planted when the shrine was constructed in 1920 and the trees were donated from all over Japan. The Meiji Shrine is very impressive. 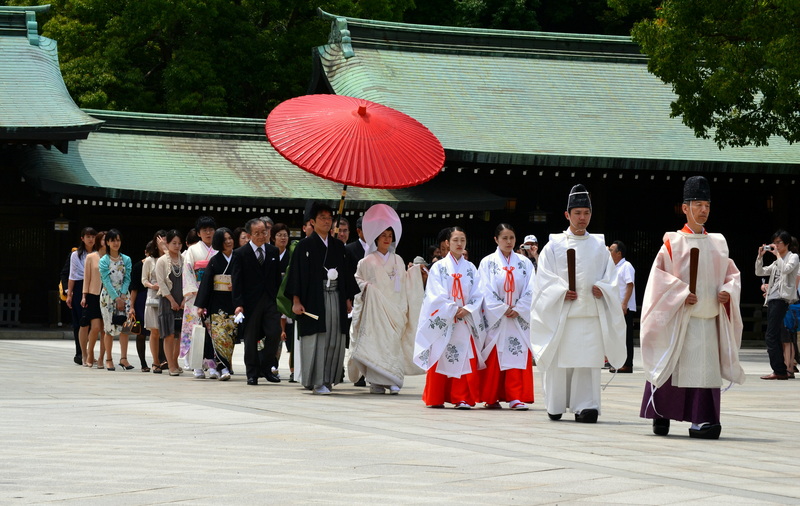 Try visiting on the weekend in the summer to catch a glimpse of a wedding procession. Come late October through November to see kids dressed up for 3-5-7 day. So beautiful. Then, for s0mething totally different, head back to Harajuku Station and then across the street to Takeshita Street. 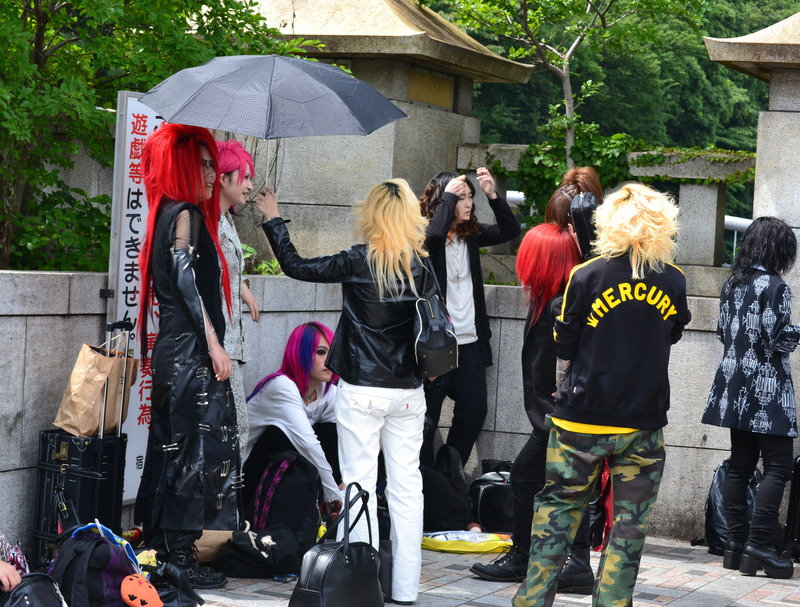 Come on the weekend to see teenagers dressed in anime and punk costumes. 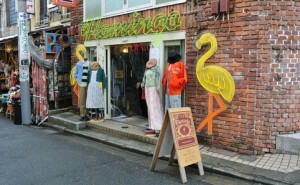 Go shopping in the trendy boutiques and used clothing outlets. 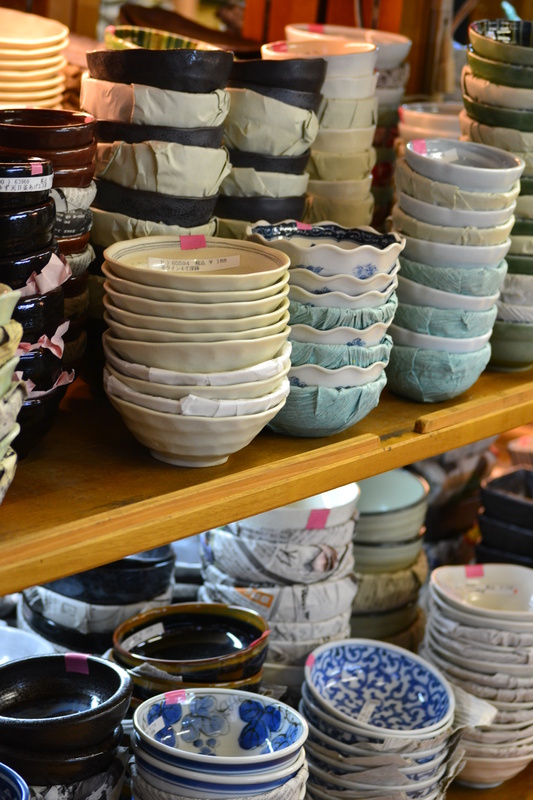 Kappabashi Street in downtown Tokyo between Ueno Park and Asakusa is a great place to go if you are looking for dishes, kitchen utensils, pots and pans, or even restaurant supplies. You can find things you might want… amazing pieces of pottery, dish sets, tea sets, cookware, aprons and red lanterns. You can also find things you may not want… podiums for the front of a restaurant, display cases, full chef apparel, expensive shaved ice machines and neon signs. Here several storefronts are dedicated to fake food – every kind of food you might eat in Japan. There is a coffee roasters, selling coffee beans but unfortunately no cups of coffee. 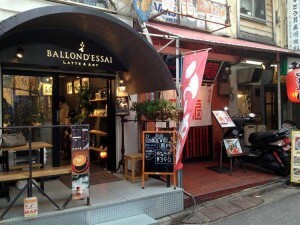 There is also a store that sells a huge variety of coffee making machines. 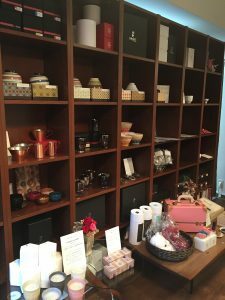 This is such a fun place to browse. With its covered sidewalks Kappabashi is a good outing even in the rain. 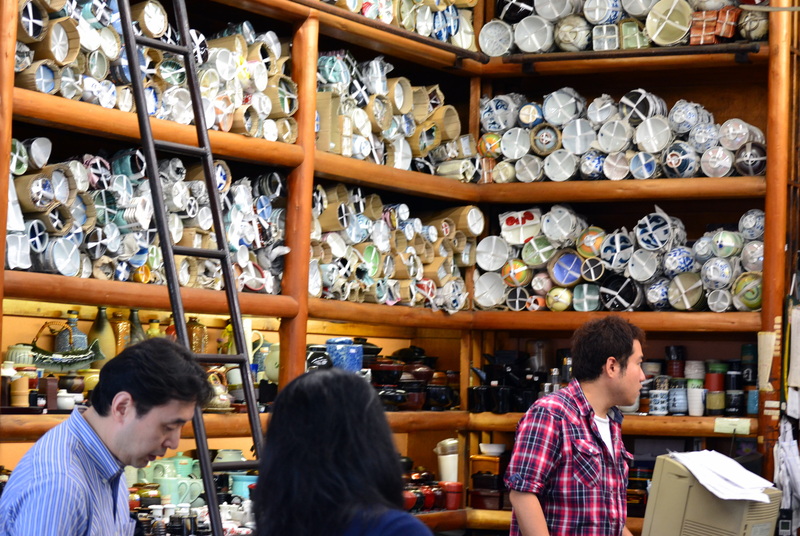 This would be a hard place to bring small children… the stores are bursting with all thing breakable and most of the stores are not stroller friendly – you have to squeeze through narrow isles to see everything. 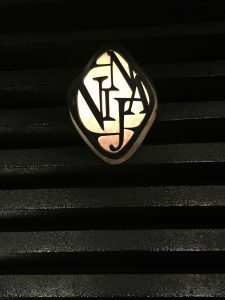 The Japanese Sword Museum offers a unique opportunity to see some of Japan’s ancient samurai swords and national treasures. The museum has over 120 swords and sword fittings on display, some dating back to the 10th century. 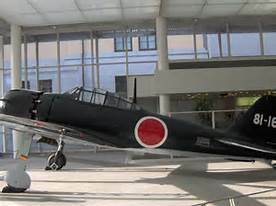 Following WWII, Japan’s post-war military laws prohibited ownership of weapons and many Japanese swords were confiscated and destroyed. It was during this period that the Japanese sword faced its greatest crisis— the art of sword making was forbidden—and many priceless ancient swords were in danger of being destroyed. Some of Japan’s most important swords were hidden or taken out of the country so they could be preserved. When Japan’s post-war laws were changed, many swords were removed from hiding and returned to Japan. American families donated some of the swords on display. 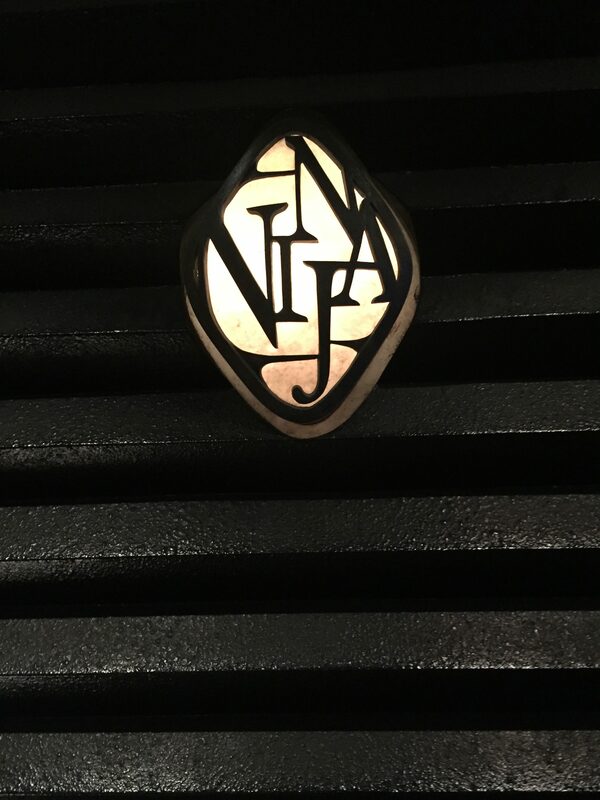 All of the swords on display in the Japanese Sword Museum fall into one of three categories: important art objects, valuable cultural properties, or National Treasures. Admission is ¥500 for Adults; ¥300 for members and students; and children are free. TRAIN DIRECTIONS: Take the Odakyu Line from Shinjuku Station to the second stop, Sangubashi Station. From there, the museum is a short 10-minute walk. Go left out of the station, up the hill and follow the sidewalk along the east side of the Shuto Expressway toward Shinjuku. After about 200 meters, you will see a street leading through a parking lot under the expressway. Turn left on this street under the underpass. Turn right just past the parking lot and follow the street as it winds left. The museum building is a short distance ahead on the left side of the street. Hours: 9am-4pm, closed Mondays and December 28-January 4. Telephone? – Roger Eggert, date? Originally a train museum, the Transportation Museum will delight train buffs! 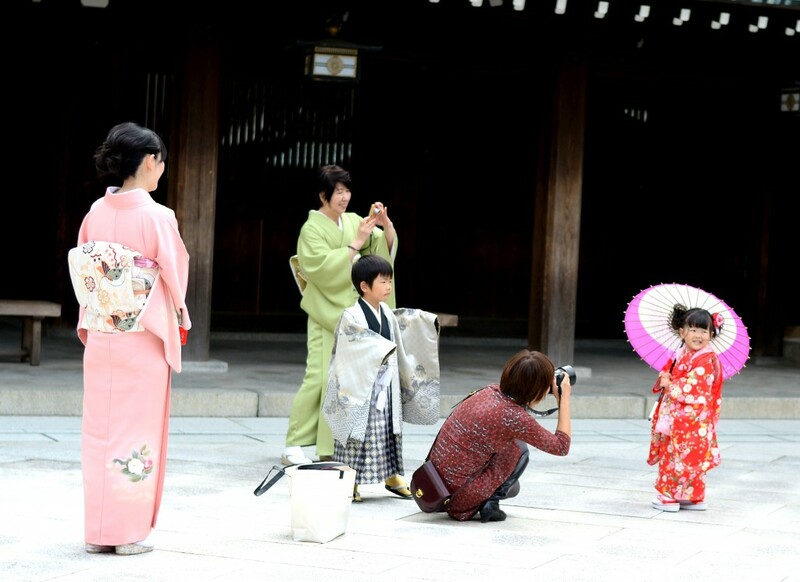 Visitors can see and feel everything from an early Emperor’s train to the modern “bullet” train, the Shinkansen. Climb in the engineer’s seat of an old steam locomotive, then sit in a wooden passenger car. Other original vehicles and modes of transport are also collected and exhibited at the museum. By viewing the collection of important documents and seeing original models from the history of railways, automobiles, ships and airplanes, you can observe the development of each vehicle and its importance to society. There are also special events commemorating the sea, the Day of Aviation, New Year’s Day, Children’s Day and summer holidays. 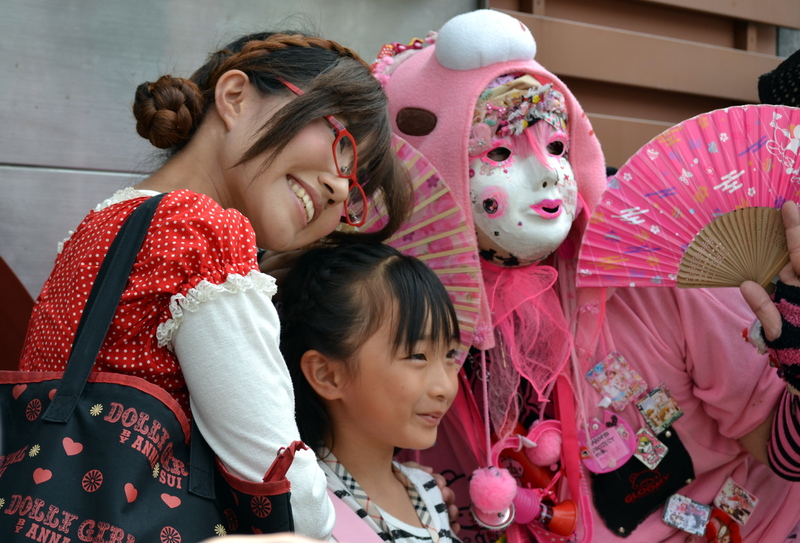 Admission fees are ¥250 for adults and ¥150 for children 4 – 12 years. Groups of more than 25 receive a 20% discount. TRAIN DIRECTIONS: The museum is very close to Ochanomizu station. The station is the second stop after Shinjuku on the Chuo Line. Go out the right side and walk along the right side of the tracks in the direction the train is heading. After three blocks, you will see old trains on your left which make up the outdoor part of the museum. Hours: 9:30 am – 5:00 pm daily, except Monday. Last admission 4:30 pm. Closed December 29 – January 3; if a legal holiday that falls on a Sunday gets celebrated the following Monday, the museum is also open on those days. – Carol Ingmanson, Luann Myers, date? 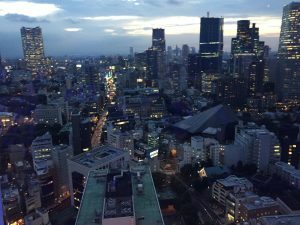 This area in Tokyo’s Bunkyo Ward is famous as a sports and amusement center with a baseball stadium, the Tokyo Dome (or Big Egg), and Korakuen Amusement Park. Popular attractions are the variety of imported rides and live stage shows. Hours are 10:00 am – 9:00 pm and admission is ¥ l,400 for adults, ¥700 for kids. 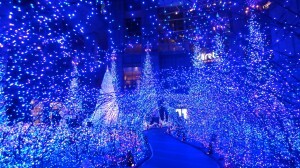 Admission, plus 10 attractions: adults, ¥3,200; kids, ¥2,500. The Tokyo Dome’s Baseball Hall of Fame and Museum is open 10am-5pm (adults ¥350, kids ¥150). To the west of the stadium and park, in stark contrast to the busy entertainment area, is the original Korakuen now called Koishikawa Korakuen, a landscaped garden built in the 17th century. 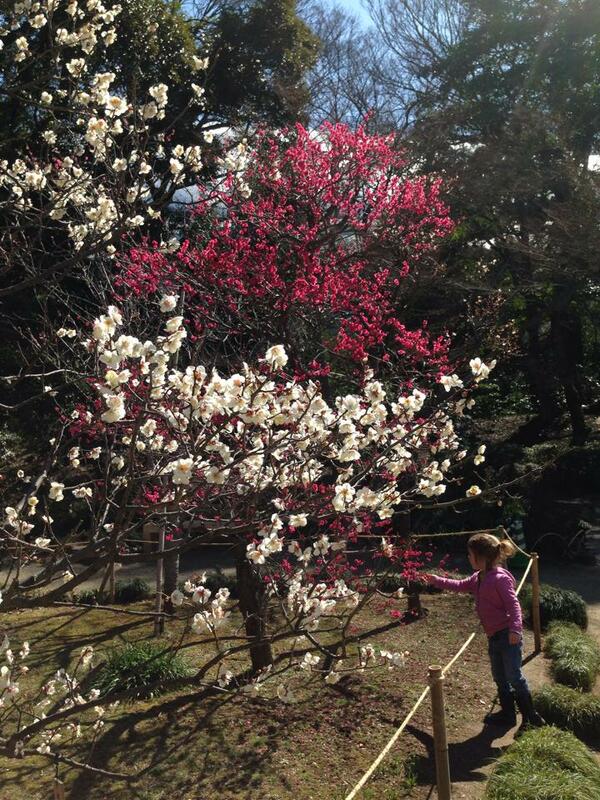 Construction of the garden was begun in 1629 by Tokugawa Yorifusa, and continued by his son, Mitsukuni, until it was completed 30 years later. 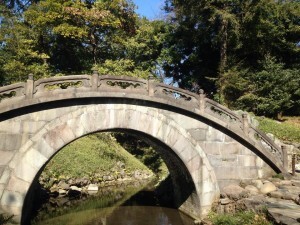 The Chinese scholar, Chu Shun-shui, helped design the garden and introduced a strong Chinese influence. Among the many scenic spots are the miniature copy of the dyke of Saiko in China; the Shiraito no Taki, a waterfall which resembles a screen of white threads; a small hill modeled after Loshan in China; the Kuhachiya sake house, and the Tokujido Shrine, built in 1630. There are a number of bridges in the park, from replicas of the Togetsu-kyo and Tsukenkyo bridges in Kyoto to the very simple Yatsuhashi zigzag plank bridge and Sawatari steppingstone bridge. A very special bridge is the Engetsukyo, so called because a full moon is formed by the arch of the bridge and its reflection in the water. TRAIN DIRECTIONS: Ride the Ome Line to Tachikawa, and change to the Chuo Line. Transfer at Yotsuya to the Sobu Line toward Ichigaya. Get off at Iidabashi Station, the second stop. Head left out the East Exit, then right over the multi-branching pedestrian bridge, following the signs in English. Once across the intersection and facing the station, walk left about 2 blocks, make a left and walk down past the JapanChina Friendship Institute and a hotel. The entrance to Koishikawa Korakuen is within the near corner of cement walls on the right. 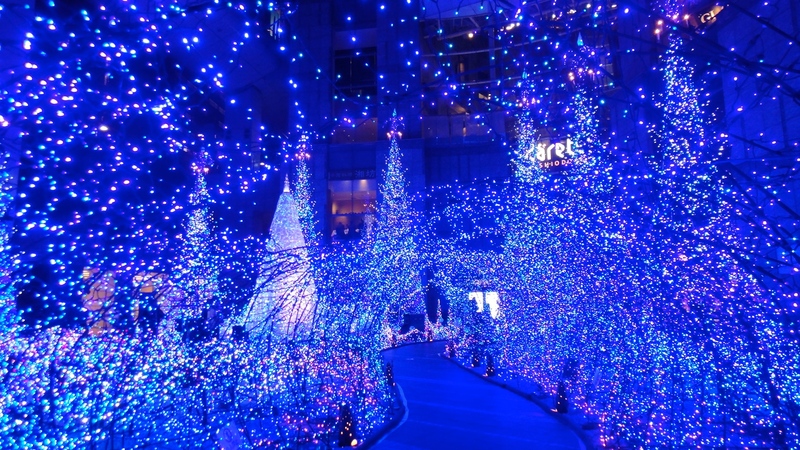 To stroll around the Tokyo Dome and Egg City Plaza afterward, exit right out of the park, then turn right at the big street and Marunouchi subway Korakuen station. The amusement park will be on the left and the stadium on the right. 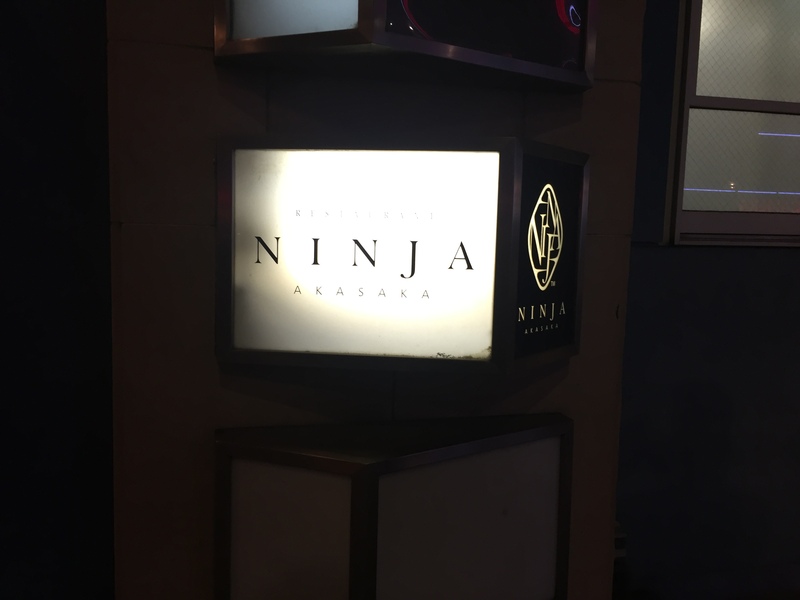 – Barbara Kirkwood, Teresa Negley, date? 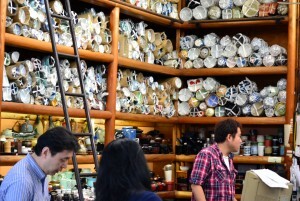 Opened in 1994, the Bonsai Museum is the first museum dedicated to bonsai. Exhibits change about every 10 days to reflect the best seasonal variations. 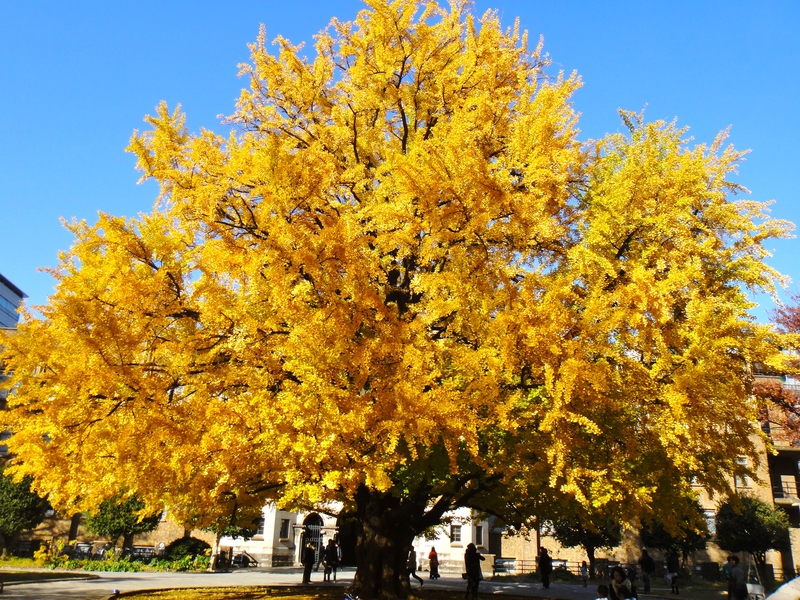 The museum maintains a collection of over 300 bonsai; their signature piece is a 500-year old pine bonsai. The museum also houses a large collection of rare ukiyo-e (woodblock) prints, displays of antique pots from Japan and China, and a lovely open-air rooftop garden. 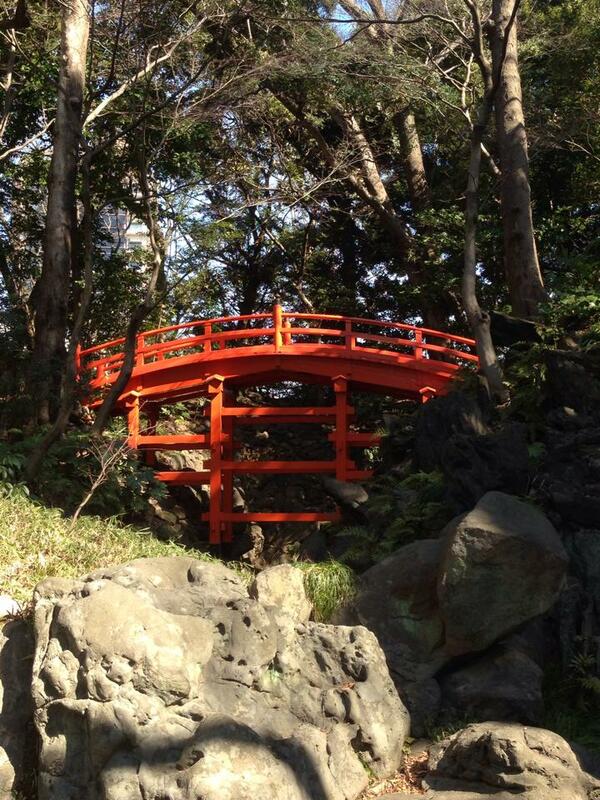 Admission: ¥800 for adults and ¥500 for students. See Bonsai Town under the Arts & Crafts section for more bonsai information. 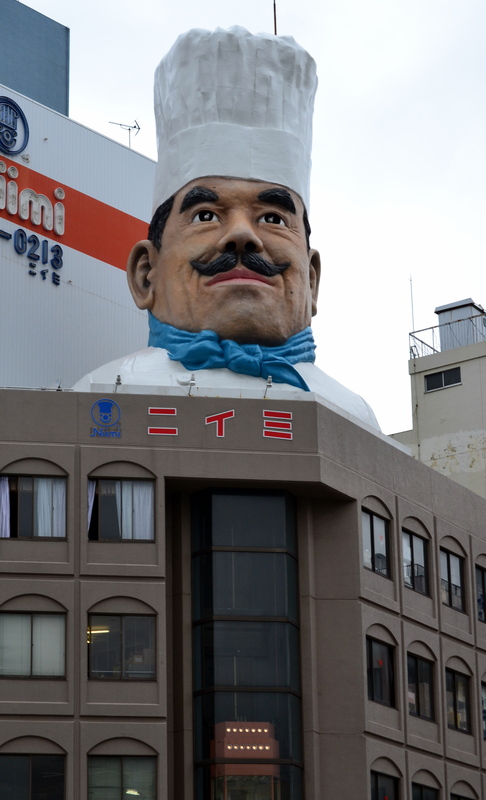 The Edo-Tokyo Metropolitan Museum is located behind the Kokugikan Sumo Stadium. Walk up the steps to a huge concrete plaza with a few ticket booths and then ride up the enclosed escalator. 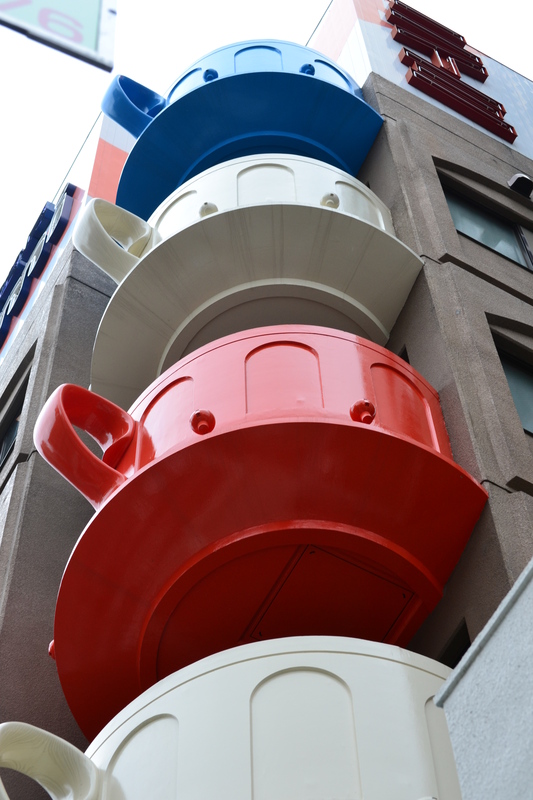 The museum is different from most in Tokyo because it also includes the eras during and after World War II. 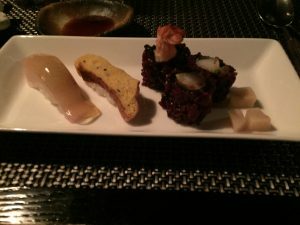 The theme is the transition from feudal Edo to modern Tokyo, starting with a stroll across the old Nihombashi Bridge at one end of the Ginza. After viewing scrolls and castletown exhibits, you can peek into the lives of average Edo residents, recreated in life-size models. 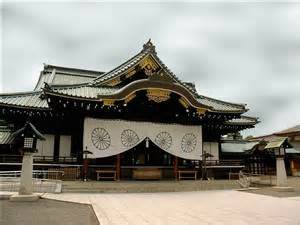 You can also see a Kabuki stage up close before moving into the Meiji period. Remember to look under your feet at a glassed-covered exhibit. For a ¥3,000 deposit, radio headsets can be rented which narrate more or less the same descriptions provided in English near each exhibit (be sure to get a brochure of the museum in English). Spacious, dark, and air conditioned, the museum is a good place to go on a hot or rainy day. 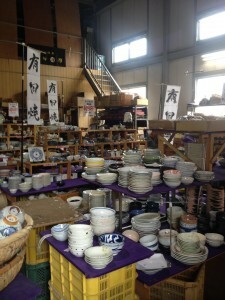 Admission is ¥500 for adults and ¥250 for students. 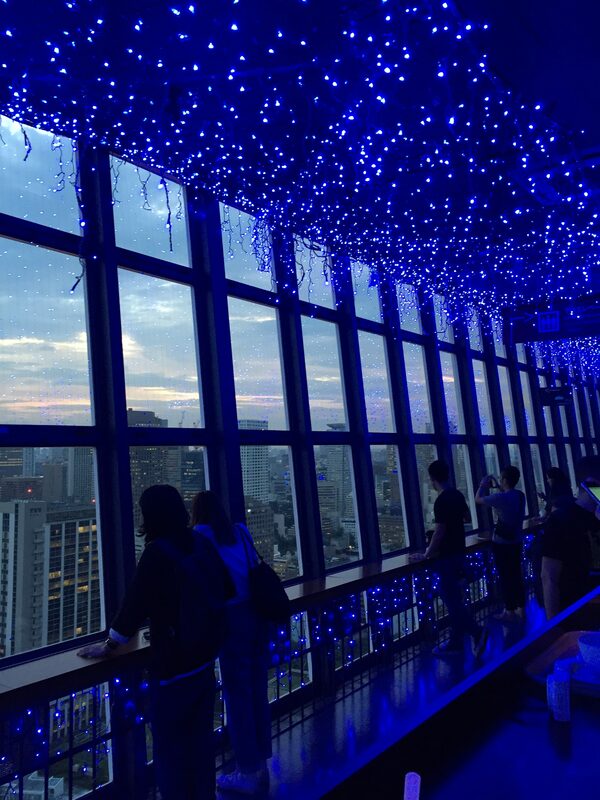 If you’re hungry, there is a coffee shop with a skyline view of Tokyo on the top floor in the museum in addition to a Japanese style restaurant. Then on the ground floor where you exit the museum, there is another restaurant just next to the gift shop. 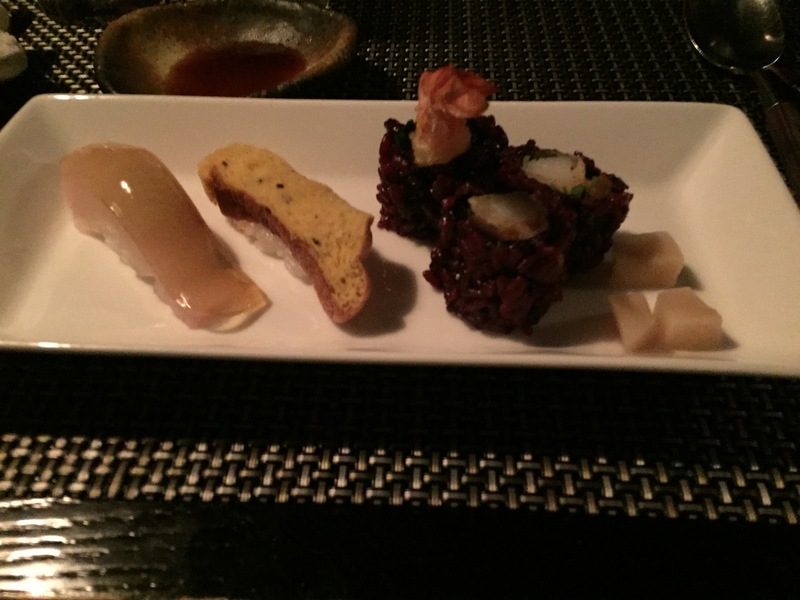 The fast-pace of Tokyo can often saturate the senses. 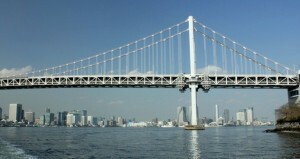 For a gentler sightseeing option, tour Tokyo from the water. It’s a romantic view of this magnificent city, and you have several tours to choose from. 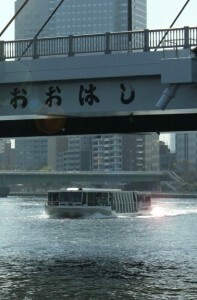 This is one of several “water bus” routes operated by the Tokyo Cruise Ship Company. 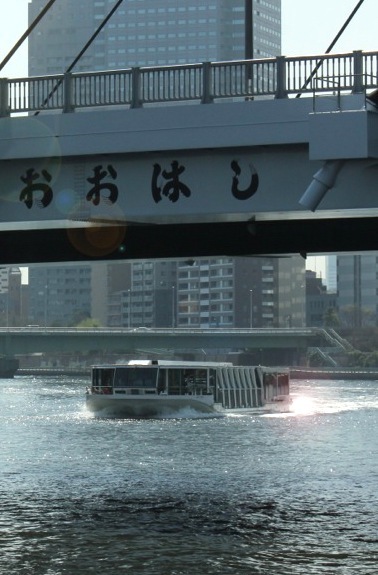 The boats leave the Azuma Bridge in Asakusa every 30-40 minutes, from 10am to sunset. They arrive at the Hinode Pier about 40 minutes later. Along the way you will pass under 12 bridges. Sights include: the green-roofed Kokugikan, the main sumo arena; Tsukiji’s Central Wholesale Market, a massive fish and vegetable center; and a fire station/boat house for emergency vessels. There is an optional stop at the Hamarikyu Detached Palace Garden, an intriguing patch of green that incorporates tidal flows. One way fare is ¥760 for adults and ¥380 for children. 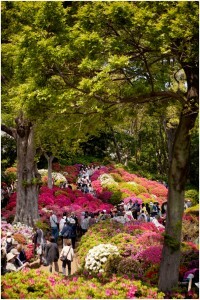 Admission to the gardens is ¥300. This cruise may also be reversed, beginning at Hinode Pier. You can rent a hand-held audio guide for ¥300. It’s the same recording that is played on the ship’s speakers, but you can hear it better. The Tokyo Cruise Ship Company has another cruise from Asakusa. 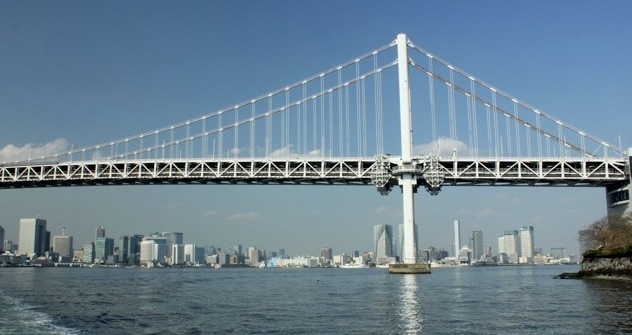 It offers views of wind surfers and other more historical landmarks around Tokyo Bay. The Himiko, a spaceship-like boat designed by a famous Japanese cartoonist, leaves at 10:10am, 1:20pm and 3:15pm. 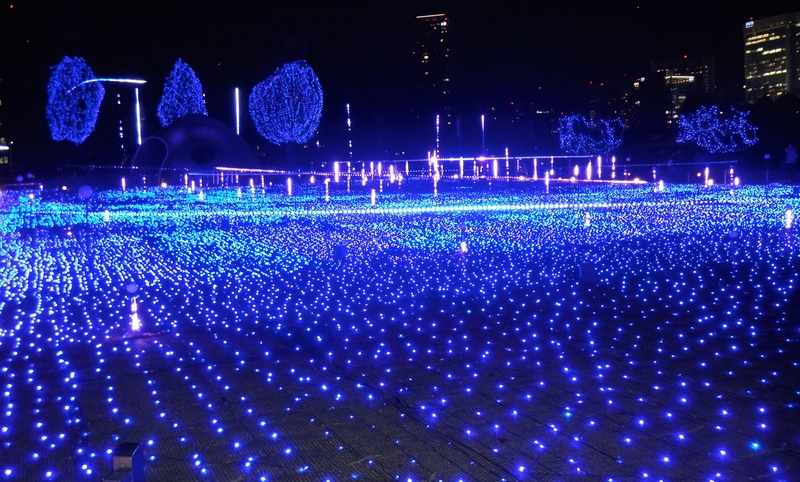 The destination, Odaiba Seaside Park, is described in tourist literature as “a futuristic spot with cafes, refined restaurants, and amusement halls packed with advanced technologies.” Duration: 50 minutes. Cost: ¥1520 for adults, ¥910 for children. TRAIN DIRECTIONS: to reach the Azuma Bridge, take the Ome Line to Tachikawa and transfer to the orange Chuo Line for Tokyo. Take this train all the way to Tokyo Station. Change to the Marunouchi Subway Line and go one stop to Ginza. There, change to the Ginza Line and go 10 stops, getting off at Asakusa. 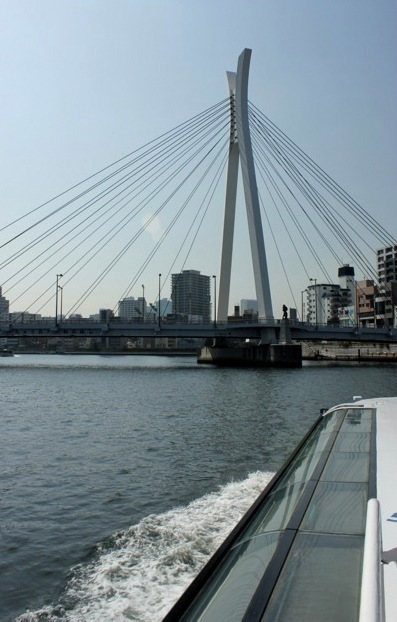 The Azuma Bridge is a one-minute walk from the Asakusa subway station. Liz Ruskin updated prices, schedules and routes, August 2011; Photos by Kelly O’Donnell, March 2013 – see comment below. 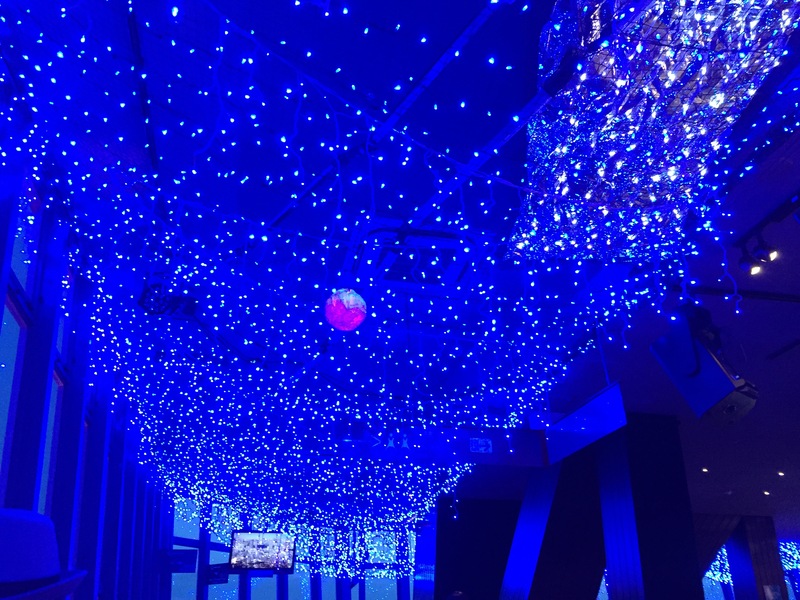 There’s also a “Harbor Cruise Line,” a 50-minute ride passing underneath the Rainbow Bridge, both starting and ending at Hinode Pier; tickets are ¥800. 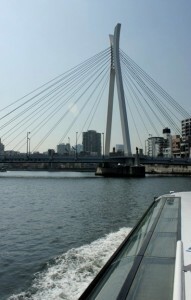 The “Canal Cruise Line” runs between Hinode Pier and the Shinagawa Aquarium via the Ohi Seaside Park. 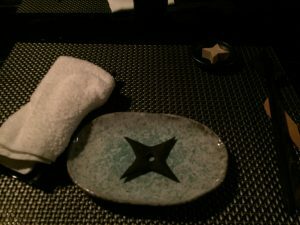 A one way ticket costs ¥800. The Shinagawa Aquarium, noted for its dolphin shows, is closed Tuesdays. To see underwater life, take a boat from Hinode Pier to Kasai Sealife Park on the other side of the bay, near Disneyland and take the train back or vice versa. Running once an hour, the cruisers stop at Tokyo Big Sight (Ariake) on the way. One-way tickets are ¥800. 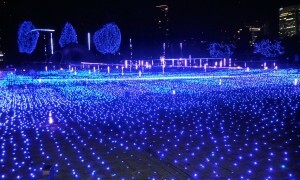 Admission to the Tokyo Sea Life Park is ¥800 per adult, ¥300 per child. If going by train, get off at the Kasai Rinkai Koen Station on the Keiyo Line and head toward the large glass dome. Posted in Daytrips, Inner & Older Tokyo, TOKYO, Truth or Dare!